Citation: Zaheri-Abdehvand S, Éva Cs, Bársony P, Komlósi I, Szabó Cs, et al. (2018) Effect of Different Supplementary Diets on Growing Rate, Fat and Protein Contents of Flesh Common Carp (Cyprinus carpio) Fingerlings. J Anim Res Nutr 3:2:3. Copyright: © 2018 Zaheri-Abdehvand S, et al. This is an open-access article distributed under the terms of the Creative Commons Attribution License, which permits unrestricted use, distribution and reproduction in any medium, provided the original author and source are credited. Many studies have been conducted to distinguish the effect of different diets on growth rate in different species of fish. The growth rate in fish is influenced by the effect of two notable factors: water temperature and food availability. The administration of different dietary supplements to affect growth performance in common carp (Cyprinus carpio) has been reported. If the type and amount of feed supplements are optimized they can have a considerable impact on fish growth but in some studies no positive effects have been observed [1-5]. The use of feed additives in the aquaculture industry has received considerable attention in recent years . However, a search for additives that offer effective growth stimulation are required in farmed fish, but without affecting the environment [7,8]. The poor growth performance in some fish species could be attributed to the low palatability of the diet . For example, palatability is linked to poor growth performance of some fish species, which were fed a diet containing meat and bone meal . Probiotics is a generic term, products can contain yeast cells, bacterial cultures or both, that stimulate microorganisms capable of modifying the gastrointestinal environment to favor health status and improve feed efficiency and is also one of the feed additives that can improve intestinal microbial balance, food absorption, digestive enzyme activities and reduced pathogenic problems. The application of probiotics in aquaculture as an environmentally friendly treatment is also increasing rapidly . There are several studies that have demonstrated growth promotion in pigs, poultry and fish [11-13]. Humates are derived from plant matter decomposed by bacteria and contain humus, humic acid, fulvic acid and some microelements. Humates promote growth by altering the partitioning of nutrients’ metabolism and reducing mortality and improving feed conversion efficiency . Humic substances (HS) can control a variety of processes in freshwater ecosystems. They can impact bioavailability or the release of trace elements and may have an influence on enzyme activities in fish, invertebrates and macrophytes. It has been indicated that the supplementation of diets with humic acid substances is an effective way to increase growth performance, reduce backfat thickness and improve meat quality in growing-finishing pigs [14,15]. Thus the aim of this study was to evaluate the use of fish meal as a major source of protein and some additive supplements like probiotics by providing nutrients and enzymatic contribution of digestion, improving water quality and enhancing growth; and humic substances, which make vitamins and elemental minerals more absorbable by transforming them into complex organic and ionic forms that are easily transported into and through the cell membrane in the diets of common carp (Cyprinus carpio) and a comparison of their effects on weight, fat and protein contents in common carp, which is one of the most popular freshwater fish species in the central and eastern European countries, especially in Hungary. Eight hundred and forty healthy common carp (Cyprinus carpio) fingerlings provided by Bocskai Fisheries Ltd. (Hajdúszoboszló, Hungary), were acclimatized in three concrete tanks for 2 weeks and fed with basal feed three times daily. At the end of the second week, fingerlings with average initial weights of 0.5 g were distributed into 14 tanks with stocking density of 60 common carp per tank. Tanks were equipped with a recirculation system. The water temperature in the tanks was kept in the range of 21°C-24°C, while lighting varied according to the natural photoperiod. The water quality was monitored and analyzed for total ammonium (0.00 mg/l), nitrite (0.15-0.5 mg/l), nitrate (10-50 mg/l) and phosphate (3 mg/l) using the MColortest™ (Merck KGaA, Darmstadt, Germany). pH (9.5), temperature (21°C-24°C) and conductivity (0.57-0.69 mS) were measured using Combo pH/EC Multiparameter tester model HI98130 (HANNA instruments®, USA). Tanks were totally cleaned of faeces and the water was partially changed. The tanks were supplied with biologically and mechanically filtered fresh tap water after aeration. The water volume of the tanks was recirculated in every 30 minutes. Diets were formed in granulate with 2-3 mm diameter and then kept at room temperature until used. Seven treatments (two tanks per treatment) were formed, including the control group. The control group consumed a fish meal based on a basal diet. The basal diet was supplemented either with 0.5%, 1% or 2% of humic substances (Vita pulvis) (HS0.5, HS1 and HS2) or 0.5%, 1% or 2% of probiotic product (PB0.5, PB1 and PB2). The humic substance (Organit Ltd., Hungary) contained 40% of humic acids and the following amount of minerals, Ca 5.5%, Mg 0.45%, P 0.1%, Na 0.1%, Fe 7000 mg/kg, Mn 130 mg/kg, Cu 10 mg/kg, Mo 8 mg/kg, Co 3 mg/kg and Se 2 mg/kg. The probiotic product contained combinations of Bifidobacterium sp., Bacillus sp. and Lactobacillus sp., which was prepared in the Department of Feed and Food Biotechnology, Faculty of Agricultural and Food Sciences and Environmental Management, University of Debrecen, Hungary. The diets were pelleted to 3mm in diameter and 2-3 mm in length and were kept at room temperature until used. The Weende analysis was done in Central Laboratory of Agricultural and Food Products, Faculty of Agricultural of and Food Sciences and Environmental Management, by determining the 1/Crude protein, (ISO 5983-2:2000): that specifies a methods for the determination of nitrogen content of animal feeding stuffs according to the Kjeldahl method, and a method for the calculation of the crude protein content. It is suitable for use as a semi-micro rapid routine method using digestion, copper catalyst, and steam distillation into boric acid. 2/Crude fat, (ISO 11085:2015): a specific procedure for the determination of the fat content of cereals, cereal-based products, and animal feeding stuffs. 3/Crude ash (ISO 5984:2002): that is specified for the determination of crude ash of animal feeding stuffs. 4/Fiber (ISO 6865:2000): using for determination of crude content with intermediate filtration. 5/Dry matter, (ISO 6496:1999): determination of moisture and other volatile matter content and also the gross energy of supplementary diets were calculated (Table 1). Carps were fed three times daily at 08:30, 12:30 and 16:30. The daily feed allowance was 2% the estimated total body weight. All amounts are in percentage %, except energy (MJ kg-1). Table 1: Chemical composition and gross energy content of the experimental diets. Fingerlings were randomly chosen and weighed for growth rate analysis weekly during the 11-week experimental period. The survival rate of fish was recorded for each tank. On the last day of the 11th week, five fingerlings per tank were randomly selected to be weighed individually, killed and flesh samples were taken and homogenized after removal of skin and bone. Dry matter, crude protein and crude fat contents of fish meat were analyzed using the standard methods including ISO1442:2000 for determination of moisture content, ISO937:1978 as a reference method for determination of nitrogen content, consists in digesting of test protein with concentrated sulphuric acid to convert organic nitrogen to ammonia ions, using copper (II) sulphate as a catalyst. Then alkalization, distillation of the liberated ammonia into an excess of boric acid solution, titration with hydrochloric acid to determine the ammonia bound by the boric acid, and calculation of nitrogen content of the sample from the amount of ammonia produced and ISO1443:1973 to determine fat content of fish meat, that method consists in boiling of a test portion with hydrochloric acid to free the occluded and bound lipid fractions, filtrating of the resulting mass, drying, and extracting with n-hexane or light petroleum, of the fat retained on the filter. Data was analyzed using the GLM procedure of SAS (SAS Institute Inc., Cary, NC, USA). In case of significant treatment effect differences between means, they were tested using Tukey’s Studentized Range (HSD) test. Means of weight, fat and protein contents affected by different diets including basal diets, Vita Pulvis and probiotics in rage of 0.5% to 2% were analyzed and the results of proximate analysis of Common carp fed at week 11 of growing period are presented in Table 2. Means with the same letter are not significantly different (P>0.05). SGR%: Specific Growth Rate%, HS: Humic Substances, PB: Probiotic, RMSE: Root-Mean-Square Error. Table 2: Fat, weight gain and SGR% of common carp fed different level of supplemented diets. Throughout the feeding period fish in all experimental groups were in good health and the survival ratio was 100%. All experimental diets were readily accepted by common carp fingerlings during the experimental period. While humic acid did not increase the weight gain, the probiotic feed had an effect (P<0.05) at 1% and 2% content. All treatment decreased the fat in the body mass and these treatments could have a favorable effect on the protein content. It is also shown that, the lowest significant (P<0.05) value of fat contents obtained in fish fed Vita pulvis 0.5% and probiotics 0.5%, compared to and fish fed with Vita pulvis 0.5% and probiotics 1% showed the highest significant (P<0.05) protein contents compared to control group. Weight gain results show that fish fed with probiotics 1% with highest fat and protein contents have significantly high weight gain among the treated groups. SGR% results shows control fish had the highest percentage of growing rate in comparison with other groups. The results of this present study indicated that the supply of probiotic supplementary diets including Bifidobacterium sp., Bacillus sp. and Lactobacillus sp. could improve the growth rate (weight gain) of common carp (Cyprinus carpio) fingerlings as an omnivorous fish, while it has also been demonstrated that the normal flora colonized in the intestine of herbivorous fish therefore the probiotics are being good for the fish species . In relation to this, Lara-Flores et al. concluded that the use of Saccharomyces cerevisiae as probiotic for fry of Nile tilapia resulted in better growth and food efficiency, Similar results from previous studies have proved that using probiotics improved the growth performance of Israeli carp [11,18]. Increase of weight gain and survival was observed for turbot larvae fed rotifera enriched with acid-lactic bacteria . In 1998, Moriatry demonstrated that prawn survival rate increased in ponds where probiotics were used as a supplementary diet including some strains of Bacillus sp. Gupta et al. , has proved that the supplementation of different probiotic strains in the diet resulted in survival improvements and growth performance of common carp fingerlings. The result of this study also demonstrated high weight gain in fish fed probiotics as a supplementary diet. There are many similar experiments related to the improving effects of probiotics on different species of fish including Indian carp (Cyprinus mrigala) , Nile tilapia (Oreochromis niloticus) , Chinese carp (Cyprinus. Carpio) , Persian sturgeon (Acipenser persicus), Faramarzi et al. and giant freshwater prawn (Macrobrachium rosenbergii) , Gupta et al. determined Paenibacillus polymyxa is a potential probiotic species to improve growth of fry common carp, Cyprinus carpio. In contrast, Gunther and Jimenez-Montealegre  revealed that diets including probiotics did not improve growth and feed utilization of tilapia, O. niloticus, and freshwater prawn M. rosenbergii, under laboratory conditions. Carlsson et al. has reported that the humic substances addition could stimulate the growth and nitrogen utilization of Prorocentrum minimum. It has been shown that humic substances added to animal feed increased growth rate and product quality [14,24] Karaoglu et al. has demonstrated that humates added to the feed of poultry promote growth. Yasar et al. concluded that HS induced an increase in weight gain in rats and they suggested that the increasing of weight gain was associated with improving the feed intake and gain: feed ratio. The results of using humic acid substances in this study showed that there are no significant differences in growth rates (P>0.05) compared with the control group. Also experimental diets for piglets showed that humic substances had beneficial effects on general health status and reduced the mortality rate, which could be due to the effect of humic acid on the metabolism of proteins and carbohydrates by microbe’s metabolism. Similar to our results, in which HS supplemented diets presented the lowest fat content in fish when compared to the control, whilst protein content was higher than the control in fish fed 0.5% HS [27-31]. It has been also reported that with the same amount of HS backfat thickness in pigs has been reduced, regardless of their [15,32-34]. According to the results of the current study, it is concluded that dietary supplementation with humic acid substances cannot improve fish growth rate, but fat and protein contents could be changed slightly, while probiotic supplementary diets can improve growing rates and having a significant effect on protein content of fish meat, however there are no significant differences between fish fed with basal fish meal and supplemented probiotic diets. The author wishes to thank Mr. Stuart John McAlister for his outstanding help with copy editing this article. We also sincerely acknowledge the field staffs of the Central Laboratory of Agricultural and Food Products, Faculty of Agricultural of and Food Sciences and Environmental Management, University of Debrecen, Hungary. Yilmaz E, Şahin A, Duru M, Akyurt İ (2005) The effect of varying dietary energy on growth and feeding behaviour of common carp, Cyprinus carpio, under experimental conditions. Appl Anim Behav Sci 92: 85-92. Nwanna LC, Eisenreich R, Schwarz FJ (2007) Effect of wet-incubation of dietary plant feedstuffs with phytases on growth and mineral digestibility by common carp (Cyprinus carpio L). Aquaculture 271: 461-468. Wang XF, Li XQ, Leng XJ, Shan LL, Zhao JX, et al. (2014) Effects of dietary cottonseed meal level on the growth, hematological indices, liver and gonad histology of juvenile common carp ( Cyprinus carpio ). Aquaculture 79–87. Ashouri S, Keyvanshokooh S, Salati AP, Johari SA, Pasha-Zanoosi H, et al. (2015) Effects of different levels of dietary selenium nanoparticles on growth performance, muscle composition, blood biochemical profiles and antioxidant status of common carp (Cyprinus carpio). Aquaculture 446: 25-29. Abdel TM, Sharafeldin KM, Mosaad MNM, Ismaiel NEM (2015) Coffee bean in common carp, Cyprinus carpio L. diets: Effect on growth performance, biochemical status, and resistance to waterborne zinc toxicity. Aquaculture 207-213. Ajiboye O, Yakubu A, Adams T (2011) A review of polycyclic aromatic hydrocarbons and heavy metal contamination of fish from fish farms. J Appl Sci Environ Manage 15: 1. Mantovani A, Maranghi F, Purificato I, Macri A (2006) Assessment of feed additives and contaminants: An essential component of food safety. Ann 1st Super Sanità 42: 427-432. Meurer F, Costa MM, Barros DAD, Oliveira STL, Paixào PS, et al. (2009) Brown propolis extract in feed as a growth promoter of Nile tilapia (Oreochromis niloticus, Linnaeus 1758) fingerlings. Aquaculture Res 40: 603-608. Nunes AJP, Sá MVC, Andriola NFP, Lemos D (2006) Behavioural response to selected feed attractants and stimulus in Pacific white shrimp, Litopenaeus vennamei. Aquaculture 260: 244-254. Rodriguez SM, Olvera NM, Carmona OC (1996) Nutritional value of animal by-product meal in practical diets for Nile tilapia Oreochromis niloticus (L.) fry. Aquaculture Res 27: 67-73. Faramarzi M, Jafaryan H, Patimar R, Iranshahi F, Boloki ML, et al. (2011) The effects of different concentrations of Bacillus spp. and different bioencapsulation times on growth performance and survival rate of persian sturgeon (Acipencer persicus) larvae. World J Fish Mar Sci 3: 145e50. Gupta A, Dhawan A (2012) Effect of dietary probiotic improval (Lactobacillus sporogenes and Saccharomyces cerevisiae) on growth and feed utilization of Macrobrachium rosenbergii post larvae. Anim Nutr Feed Tech 12: 209e17. Bai HX, Chang QF, Shi BM, Shan AS (2013) Effects of fulvic acid on growth performance and meat quality in growing finishing pigs. Livestock Science 158: 118-123. Wang Q, Chen YJ, Yoo JS, Kim HJ, Cho JH, et al. (2008) Effects of supplemental humic substances on growth performance, blood characteristics and meat quality in finishing pigs. Livest Sci 117: 270-274. Irianto A, Austin B (2002) Probiotics in aquaculture. J Fish Dis 25: 633-642. Lara FM, Olvera NMA, Guzman MBE, Lopez MW (2003) Use of the bacteria Streptococcus faecium and Lactobacillus acidophilus and the yeast Saccharomyces cerevisiae as growth promoters in nile tilapia (Oreochromis niloticus). Aquaculture 216: 193e201. Swain SK, Rangacharyulu PV, Sarkar S, Das KM (1996) Effect of a probiotic supplement on growth, nutrient utilization and carcass composition in mrigal fry. J Aquaculture 4: 29e35. Gatesoupe FJ (1994) Lactic acid bacteria increase the resistance of turbot larvae, Scophthalmus maximus, against pathogenic vibrio. Aquat Living Resour 7: 277-282. Ramkrishnan CM, Haniffa MA, Manohar M, Dhanaraj M, Arokiaraj AJ, et al. (2008) Effects of probiotics and spirulina on survival and growth of juvenile common carp (Cyprinus carpio). Isr J Aquac Bamidgeh 60: 128e33. Gupta A, Dhawan A (2011) Effect of supplementing probiotics (Prosol) on the performance of giant freshwater prawn (Macrobrachium rosenbergii) juveniles. Indian J Anim Nutr 28: 457e63. Gunther J, Jimenez MR (2004) Effect of the probiotic Bacillus subtilis on the growth and food utilization of tilapia (Oreochromis niloticus) and prawn (Macrobrachium rosenbergii) under laboratory conditions. Rev Biol Trop 52: 937e43. Carlsson P, Graneli E, Segatto AZ (1999) Cycling of biological available nitrogen in reverine humic substances between marine bacteria, a heterotrophic nanoflagellate and photosynthetic dinoflagellate. Aquat Microb Ecol 18: 23-36. Parks C, Ferket PR, Thomas LN, Grimes JL (1996) Growth performance and immunity of turkey fed high and low crude protein diets supplemented with Menefee humate. Poult Sci 75: 138. Karaoglu M, Macit M, Esenboga N, Durdag H, Turgut L, et al. (2004) Effect of supplemental humate at different levels on the growth performance slaughter and carcass traits of broilers. Int J Poult Sci 3: 406-410. Yasar S, Gokcimen A, Altunas I, Yonden Z, Petekkaya E, et al. (2002) Performance and ileal histomorphology of rats treated with humic acid preparations. J Anim Physiol Anim Nutr 86: 257-264. Roost H, Dobberstein I, Kuntsch G, Berber H, Tardel H, et al. (1990) Results and experience obtained from use of peat paste in industrialized piglet raising (in German). Monatsh Veterinarmed 45: 239-243. Fuchs B, Orda J, Preś J, Muchowicz M (1995) the effect of feeding piglets up to the 100th day of their life with peat preparation on their growth and physiological and biochemical indices. Arch Vet Pol 35: 97–107. Wu L, Luo XG, Tong BS, Qi JW, An XP, et al. (2009) Effect of fulvic acid on growth performance and resistance to disease in piglets (in chinese). Curr Agric Sci Technol 9: 238-240. Vucskits AV, Hullár I, Bersényi A, Andrásofszky E, Kulcsár M, et al. (2010) Effect of fulvic and HS on performance, immune response and thyroid function in rats. J Anim Physiol Anim Nutr 94: 721-728. Kunavue N, Lien TF (2012) Effects of fulvic acid and probiotic on growth performance, nutrient digestibility, blood parameters and immunity of pigs. J Anim Sci Adv 2: 711-721. Ji F, McGlone JJ, Kim SW (2006) Effects of dietary humic substances on pig growth performance, carcass characteristics, and ammonia emission. J Anim Sci 84: 2482-2490. Avci M, Denek N, Kaplan O (2007) Effects of humic acid at different levels on growth performance, carcass yields and some biochemical parameters of quails. J Anim Vet Adv 6: 1-4. 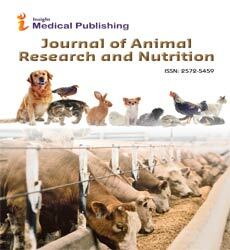 Gong Z, Cheng YX, Zhang MM, Pan LL (2011) Effects of humic acid Na on slaughter performance and muscle quality of AA broilers (in chinese). J Anhui Sci Technol Univ 25: 5-8.